We offer free online Skin Consultations. The €20 Deposit is fully redeemable against web purchases or buy in store purchases. 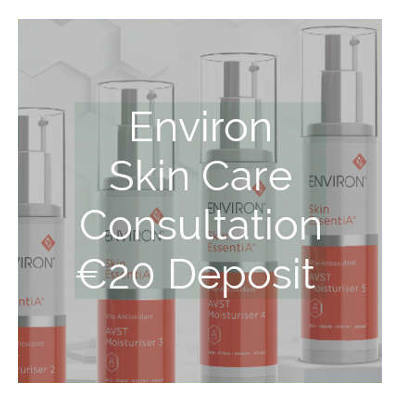 Complete Consultation using button link below, pay €20 Deposit and receive your Skin Consultation by email. Can take 1-2 working days for response, depending on demand. Please check you spam folder, emails can sometimes arrive in spam/junk folder. Please let us know if you dont get response for any reason, we are here to help.